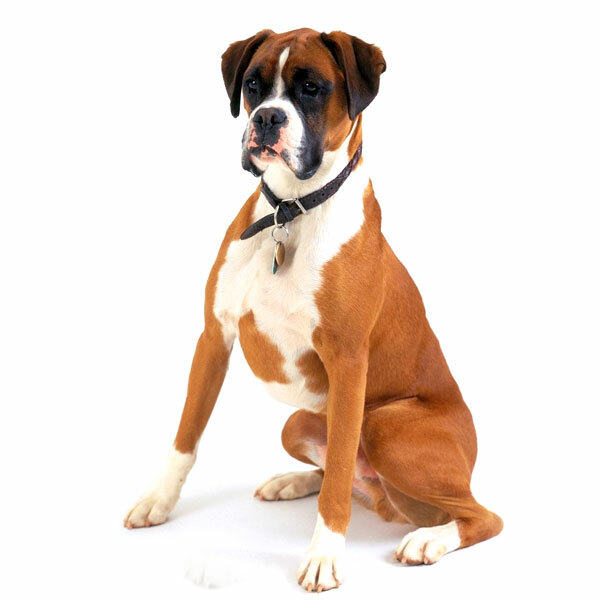 The Boxer originated in Germany and has been around since the late 19th century. It is a silly dog that loves being the centre of attention. It is highly intelligent but is stubborn by nature. It has a short, glossy coat that is easy to maintain. Boxers are used in police search and rescue operations. Interested in getting a Boxer? Here is a brief background of this comical yet protective dog. The medium-sized Boxer is a descendant of the now-extinct Bullenbeisser (a fighting dog with Mastiff ancestry) and the Bulldog. It was developed in Germany in the late 1890s as a hunter of deer, wild boar and bear, and then later on used to guard and drive cattle. The first German Boxer that joined a dog show in Munich in 1895 was named Flocki. In 1904, the Boxer breed standard was first published. In the 1930s, the Boxer arrived in England and the British Boxer Dog Club was formed. It was recognised by The Kennel Club shortly thereafter and was included at Cruft's Dog Show events. Today’s Boxers come from the first Champion Boxer bred in the UK after World War II owned by Mrs. Caro. The Boxer is an easily recognisable dog with a head in perfect proportion to its body, highlighted by its wide, blunt black muzzles and distinctive undershot jaw. It has an arched skull and slightly indented forehead with a distinct stop at the muzzle. Its muzzles are usually one-third the length of the head and two-thirds the width of the skull. It has dark brown eyes that show a lively and intelligent expression. It has moderate-sized ears that are set wide apart. Weighing 55 to 70 pounds and standing 53 to 63 centimetres, this working breed is a well-muscled dog. The Boxer’s coat is short, glossy and tight to the body, which comes in fawn or brindle. Grooming is a breeze as it only requires weekly brushing and a grooming glove is the perfect tool to use. Bathing can be done as needed. It is important to brush your dog’s teeth and provide chew toys to avoid dental problems. Always clean its ears, trim its nails and inspect for red spots and fleas. Owners tend to only focus on maintaining their dog’s coat and overlook other aspects of grooming. The Boxer may exude nobility and an intimidating appearance but it is actually considered the joker of the dog world. It is playful and fun-loving, and takes time to mature. It loves to be part of family activities and be the centre of attention. It often makes a unique “woo woo” sound when it needs something or wants attention. On the other hand, it is loyal, alert and watchful. It can initially be wary of strangers but eventually warms up if no danger is detected. It isn’t necessarily aggressive but it will stand guard and defend its family. It is extremely patient and gentle towards kids but it is recommended for families with older children as it can accidentally knock over a toddler. Boxers are intelligent but have a tendency to be independent and stubborn so they are not suited for first-time owners. They respond better to people that are firm and consistent. However, firm does not mean harsh. Instead of strict training methods, positive reinforcements are more effective in teaching this breed basic dog manners and tricks. It needs early socialisation so it does not become aggressive towards other animals. Dog breeds have certain predisposed characteristics but this does not mean that each dog will inherit all of them. Remember that hereditary, environment, training, and socialisation will help shape the overall qualities of your pet dog. A typical serving for an adult Boxer is 2 to 3 cups of excellent quality dry dog food per day. It is better to measure and limit food intake per day and avoid free-feeding as this can cause obesity. Size, age, and activity level are some of the important feeding considerations. Boxers are muscular dogs that need a diet high in animal protein from bison, beef, lamb, or chicken. Protein helps build strong muscles, boosts bone growth and aids in tissue repair. According to experts, the overall diet of this breed should be comprised of 25% to 30% protein. Although it is prone to skin allergies, it does need carbs in its diet for energy source and dietary fibre; just steer clear of wheat, corn, yeast, and soy. Lastly, always provide with your dog clean fresh water. Boxers have an average lifespan of 9 to 10 years. This breed is known to be prone to certain health problems more than other breeds. However, this does not mean that all Boxers will acquire them. These include, Boxer Cardiomyopathy (ARVC), Aortic Stenosis/Sub-Aortic Stenosis (AS/SAS), Colitis, Degenerative Myelopathy (DM), Epilepsy, Hip Dysplasia, Hypothyroidism, Brachycephalic Obstructive Airway Syndrome, Corneal Ulcers, Cutaneous Asthenia, and Skeletal Scurvy Osteodystrophy. They can also have bloat, cataracts, cancer, hives, and allergies. The Boxer is an active and energetic breed so it needs plenty of exercise. This working dog needs to be mentality stimulated or it will be destructive. It basically needs a minimum of two hours a day spent on walking, running and basically letting off steam. A lot of prospective owners do not take into account the huge expenses that go with dog ownership. Apart from basic necessities and food, there can be unforeseen costs brought about by veterinary treatments. Raising a Boxer can roughly cost £130 to £160 a month, depending on a lot of factors. Initial equipment and supplies can be around £200. Food costs range from £60 to £70 monthly. The great thing about Boxers is that they do not require expensive professional services. Adding to your expenses are neutering/spaying, routine check-ups, vaccination, and flea/worm treatments that can add up to £1,000 annually. These do not include major surgeries or long-term treatments. Insurance coverage (monthly payment of £50 for basic and £100 for lifetime coverage) will save you from unexpected vet costs. The Boxer is a loving, loyal and protective companion. It is comical and takes time to fully mature. This breed has low-maintenance grooming needs. 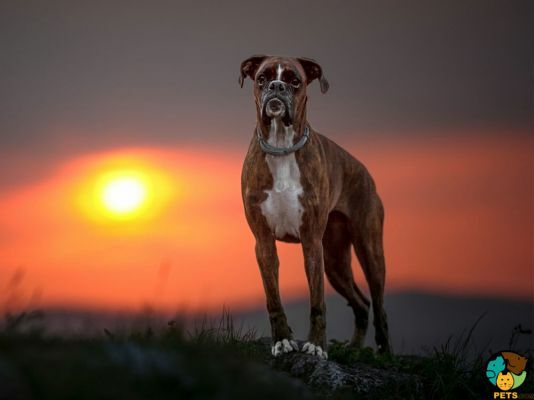 As working dogs, Boxers have high energy and exercise needs. They can be destructive when left alone or unable to let off steam.